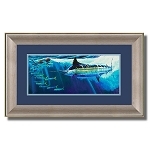 Cape Coastal Designs creates original jewelry and accessories inspired by life on the water. 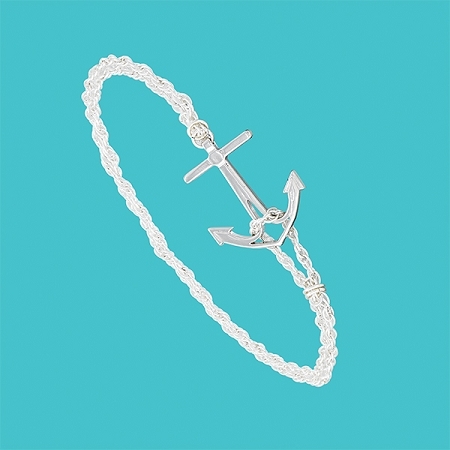 Our sterling silver Anchor bracelet features our unique anchor design. The solid silver anchor is 7/8" long and 3/4" wide and hangs gracefully from a double rope chain which secures to the anchor arms by looping over them. 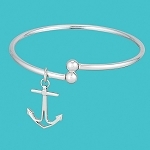 The Anchor bracelet is 7" in or 6.5 in in length (include a note with order) and matches our Anchor earrings and necklaces. All silver is .925 sterling. The bracelet comes packaged in a presentation box.